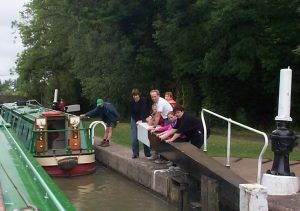 LNBP at Braunston Community Boating were recently asked to participate in a short Q & A for the Spring edition of Discover Britain for Groups magazine. As part of the magazine’s regular series of features, we were asked to offer a further insight into what the organisation can offer to groups, societies and other community organisations looking for great days out and short breaks in the UK. And naturally, we were only too happy to oblige. 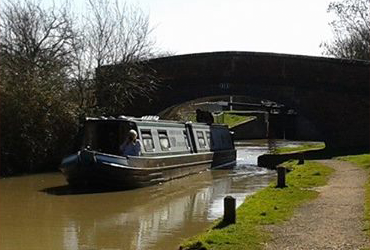 Nigel Smith, Booking Officer at LNBP at Braunston Community Boating, was the man behind the answers about group trips and cruises on our canal boats in and around the waterways of scenic central England. How long have you been involved with LNBP at Braunston Community Boating? I first became involved with LNBP whilst working with West Midlands Police and taking inner city youngsters out of their environment to somewhere different and where they had to think a little for themselves. After three years, I was taken on as a skipper by the project working with groups unknown to me. On my first trip as a skipper, the on board radio was on and a passenger said “We have won our first gold medal”, that was the London Olympic Games 2012 (not 1948! ), the rest is history. What do you enjoy most about being involved? The likes of Great Canal Journeys (with Timothy West and Prunella Scales) and Carry on Barging have put canal boat trips and breaks back in the public domain. Are they on the rise? Whilst I feel the programmes have a different slant from what LNBP do, they thankfully bring canals to the public awareness but actual life is a little slower, we can’t do a complete canal in 30 minutes! What type of groups do LNBP welcome? LNBP welcomes any type of group. We welcome a wide range of retirement associations and community groups, including church groups. In the past we have welcomed Navy veterans [from HMS Belfast] and other forces veterans, people recovering from health matters, even survivors from the Russian Chernobyl incident. Your overseas visitors from Chernobyl must have been interesting experience for both of you…? Yes, we took children from Chernobyl out on the boats. They have virtually nothing and small gifts they had been given were prized possessions. For them just to have a holiday was the greatest treat of their lives. To steer a boat, to see the countryside, to relax and not have to worry about what they did and where they went [because there was no contamination] was such a treat for them. What can groups expect from a short break or longer holiday with LNBP? Whatever length of stay, life will be slower, and passengers get used to living close to others and each other’s company. Sometimes groups ask for plenty of locks to work. The most I have done in a day is 26 locks, these being the Hatton 21 (a little of 3 hours with nine passengers working well as a team, working on three locks at a time) plus the Knowle 5. At the end of my cruise, be it two or seven days, my shoulders are relaxed and I have slept well…it’s all the fresh air! What routes can groups choose from? On a weekend, the lovely villages of Weedon Bec and Crick are manageable; for the energetic Royal Leamington Spa, Warwick or Stoke Bruerne can be reached. For the five days, Banbury, Warwick, Hatton, Milton Keynes can all be reached, whilst for a week there is chance to aim for Stratford Upon Avon or the circular Warwickshire Ring. And there are many great attractions to visit and call in on those routes….? On the Warwickshire Ring, a day free of cruising could allow you to visit Warwick Castle, Cadbury World, plus attractions in Birmingham, Coventry, Rugby and Royal Leamington Spa, Banbury and Milton Keynes. It’s interesting to see that you run a series of Taster Days for group organisers to sample a trip….? Groups are welcome to come and sample our boats on a cruise to see if the idea of a cruise would be to their liking. Complimentary tea and coffee is served, and Braunston is lovely historic village to explore! Any advice for group organisers thinking about a group canal boating trip or break? Remember that the canals are a place where life cannot be rushed. Aim to use to boats to their full advantage, and an excellent galley for cooking lessons. Providing you have a licence, why not try fishing. There is nothing stopping you from getting of the boat and walking along the tow path. For the majority of the time, your boat will be in the fresh air and sampling life as it was 200 years ago (our boats do have toilets, ovens, showers, engines). It is a 19th Century lifestyle with a 21st Century twist.